Pep Guardiola has shot down talk of the quadruple once and for all – because he reckons Manchester City are actually chasing five trophies. City, who already have the Carabao Cup in the bag, remain in the hunt for an unprecedented four-timer having reached the FA Cup final, sitting second in the Premier League and facing Tottenham in the quarter-finals of the Champions League. Yet Guardiola, who has constantly played down talk of City achieving the quadruple, maintains his side have already won two trophies with three more still to play for. “The Community Shield? Nobody counts it, that’s the question, I would like an answer,” he said. “The Community Shield maybe counts for last season, but last season when we went on holiday it wasn’t there. 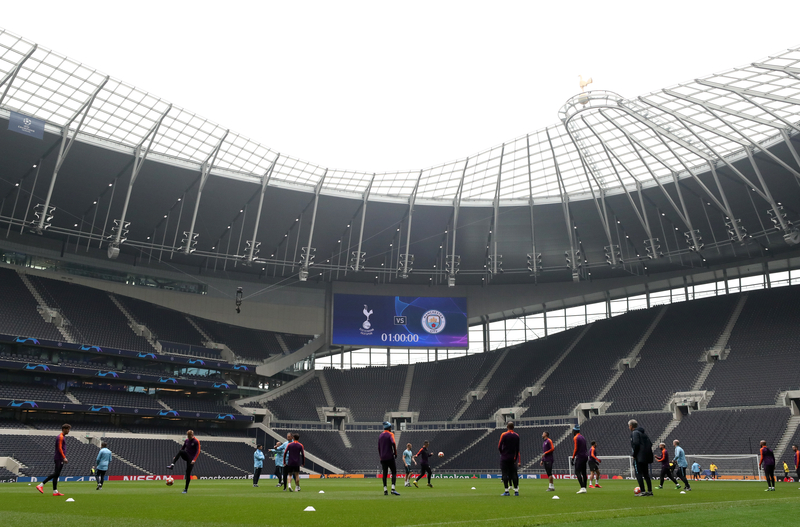 Guardiola insists Tottenham’s new stadium will have no bearing on their first-leg showdown with Spurs on Tuesday night. City will be the second visitors to the Tottenham Hotspur Stadium, and the first in a European fixture. Spurs have been energised by completing their long-awaited move into their new home and will bank on the feelgood factor continuing against City. But Guardiola said: “It affects us if we think about the fans, but if we think about what we do on the pitch it doesn’t affect us. “The stadium is what it is, the supporters support the team more than ever in the Champions League. Sergio Aguero has handed Guardiola a massive fitness boost having returned to training ahead of the all-England clash, while Kyle Walker should also be available.